A fun ticket redemption arcade game with realistic physics, goofy robots, and lots of silly prizes. 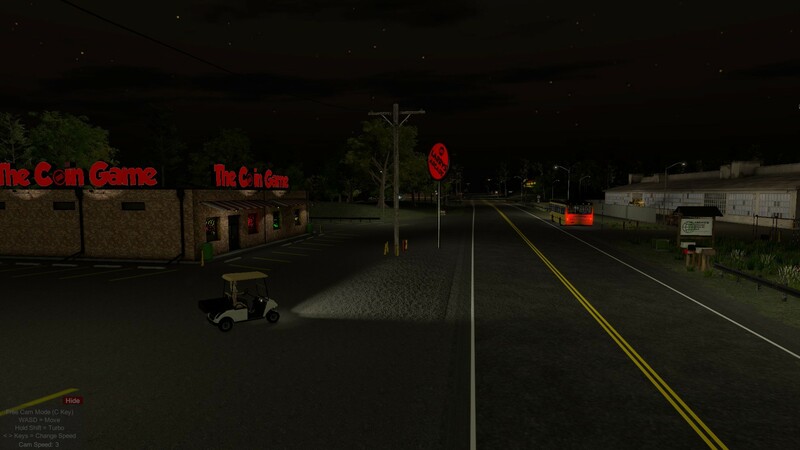 The game includes 15+ modern inspired arcade machines and a pawn shop to keep money in your pocket. 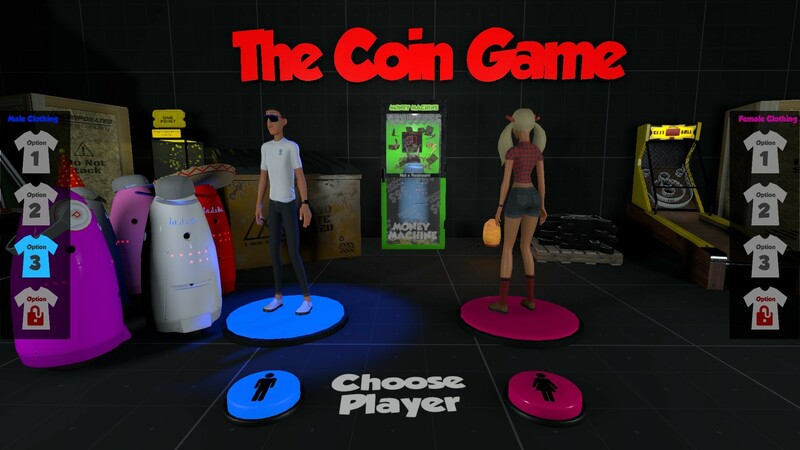 The Coin Game is made by a solo developer. 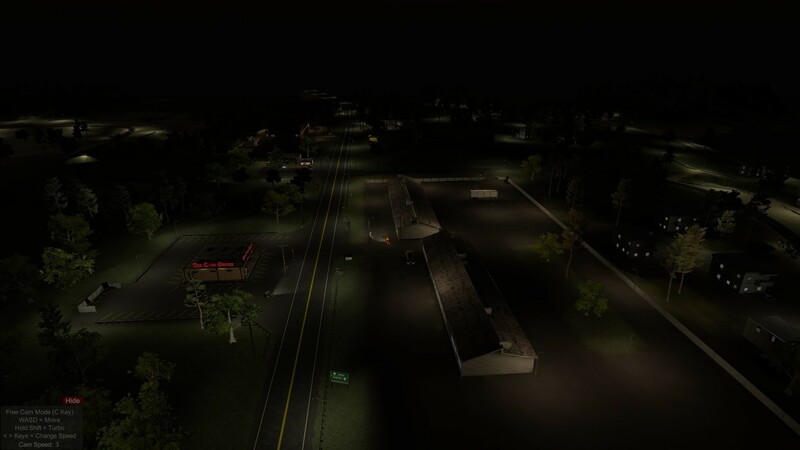 Post feature Report RSS	64 bit Version, New Clothing Options and a new Free Camera Mode! 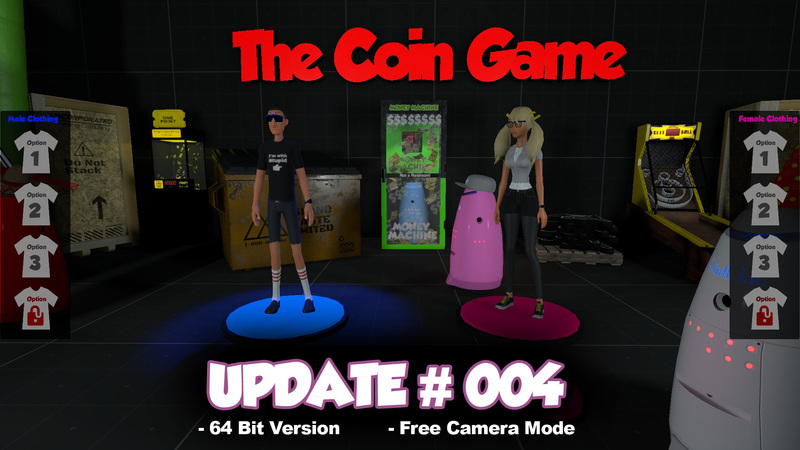 I have finished a new 64 bit version of The Coin Game.I also whipped up a new first draft of a "Free Camera" mode (C Key) that will allow you to fly around the island with a just a simple camera.Plus, 3 different clothing choices for each character in a simple character customizer. 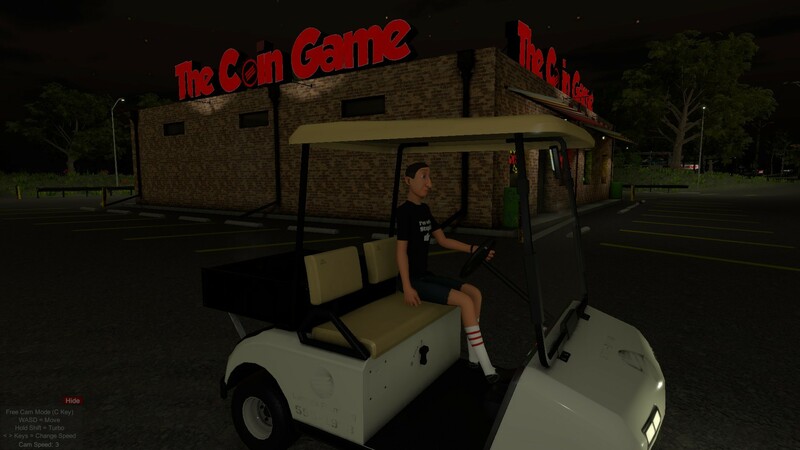 I have finished a new 64 bit version of The Coin Game. This should use a bunch more of that Memory and Ram you paid good money for. If you are on a 32 bit system it should not change at all except for re-installing a the new version. The Steam installer will auto install the correct 32 bit or 64 bit version for your system. I am hoping this will help the memory problems some folks are having with crashing on some Intel integrated HD Cards. I also whipped up a new first draft of a "Free Camera" mode (C Key) that will allow you to fly around the island with a just a simple camera. Thanks CaptainSauce for the idea. It is great for taking screenshots and getting those tough angles in videos. It is similar to how a Spectator Camera works in a multiplayer game. It will NOT move the player and only the Free Camera. You can rotate the camera with the mouse. The WASD keys for now will pan the camera Forward/ Backward Left and Right. You can change the speed of camera pan with the comma and period (,.) keys (Min 0.5 - max 10). You will see the speed of the pan in the lower left of the screen on the Free Camera Menu. It Opens and Closes when you hit the C Key. Holding the Shift key will turbo the pan speed X 10 times. You can hide the "free camera" menu for screenshots by clicking the little hide button. You can lock the camera to the X and Z Axis (it locks the Y height) by holding the Space Bar. - KNOWN ISSUE- If you hit the TAB Key (Watch Menu) when in Free Camera Mode it will open the Watch Menu wherever you are. I am fixing that. That's about it for this little patch update. 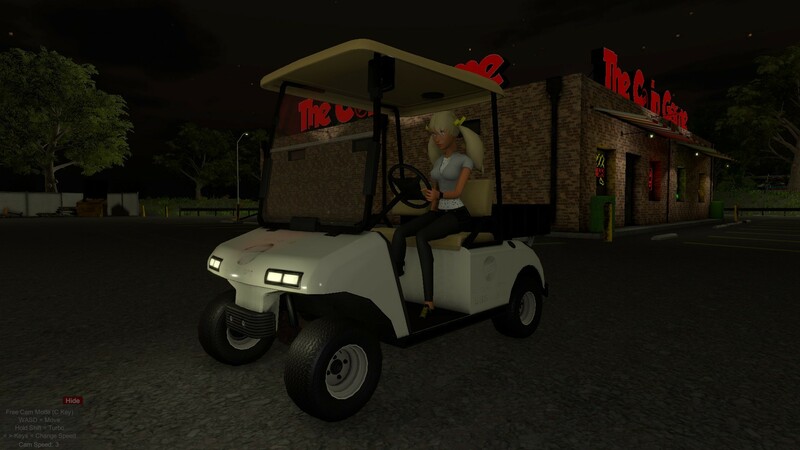 Not too much new content as this was kind of an unplanned patch update to makes things work a little smoother with the new camera and the 64 bit version. 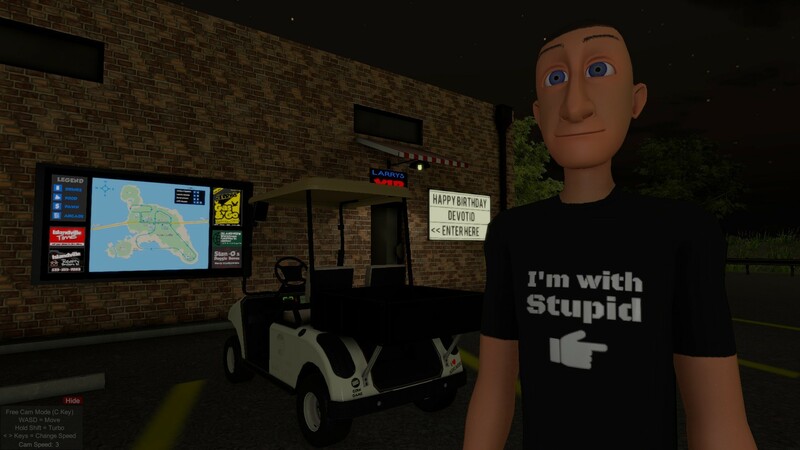 Here is a couple of screenshots from the new Free Camera that were not possible before. 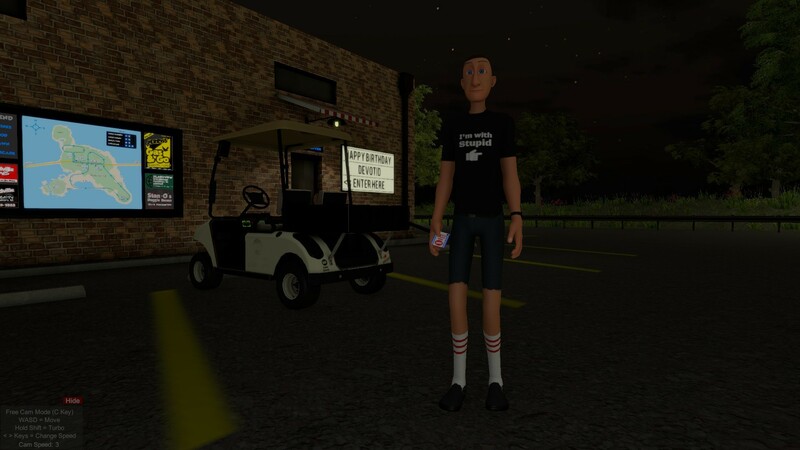 Here is another shot of the New clothing menu choices. Work in progress.